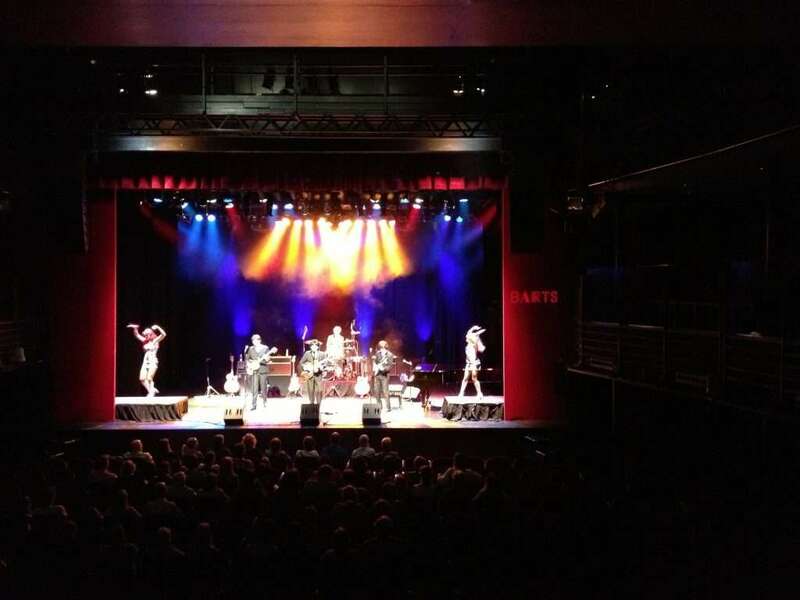 Much more than a tribute band, BEATLEMAJESTY features three members of the Broadway cast, and a brilliant new addition, of the original smash-hit production BEATLEMANIA, a show which has obtained legendary status in the annals of Broadway and the world of entertainment at large. You’ll thrill to their depiction of the FAB FOUR’s career—from their early Ed Sullivan Show appearances, where they exploded on the world’s stage, on through the tumultuous 60′s, finally ending with their Abbey Road era. You won’t believe your ears and eyes as these seasoned professionals recreate the songs and look of the Beatles’ fantastic career—note for note renditions of the songs that have become the soundtrack of the 60′s, all performed in beautiful period costumes. From their early innocence to their turbulent end, you’ll marvel at the musical and physical transformation that takes place before you, as the boys transcend the decade in their exact replicas of the Beatles’ wardrobe and hairstyles. Even their instruments are the same classic ones used by the Beatles’ themselves, ensuring the exact sounds captured live and in the studios of Abbey Road. You’ll be amazed as you are transported back in time and immersed in the most beautiful music of all time, unable to resist singing the melodies that we all know and love so much. So, please, join us, as we travel back in time to the decade that shaped a generation, and all generations who followed, forever.